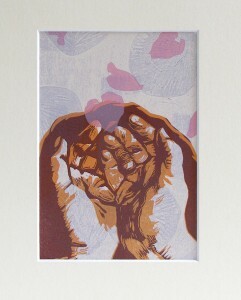 The print shop has been humming this summer with four new prints in small editions. 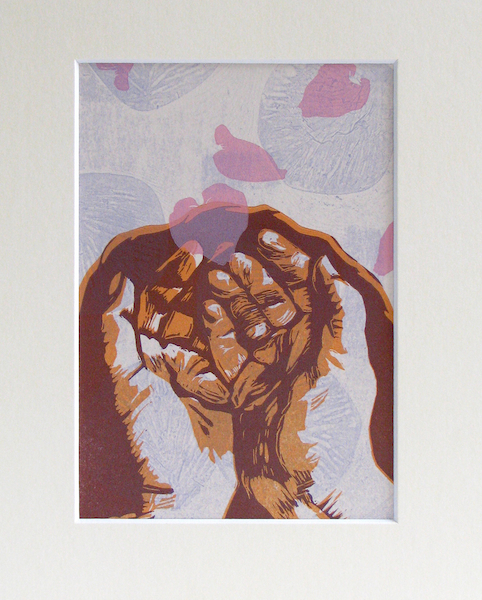 Three of them utilize existing linoleum cuts from other projects with vintage cuts or metal type and are Variable Edition prints since the backgrounds differ slightly from print to print (making it fun to choose the one you like best). The fourth print, “Evanescent” is completely new (although it utilizes an image from a previous painting) and is a reduction linoleum cut with a collograph background. 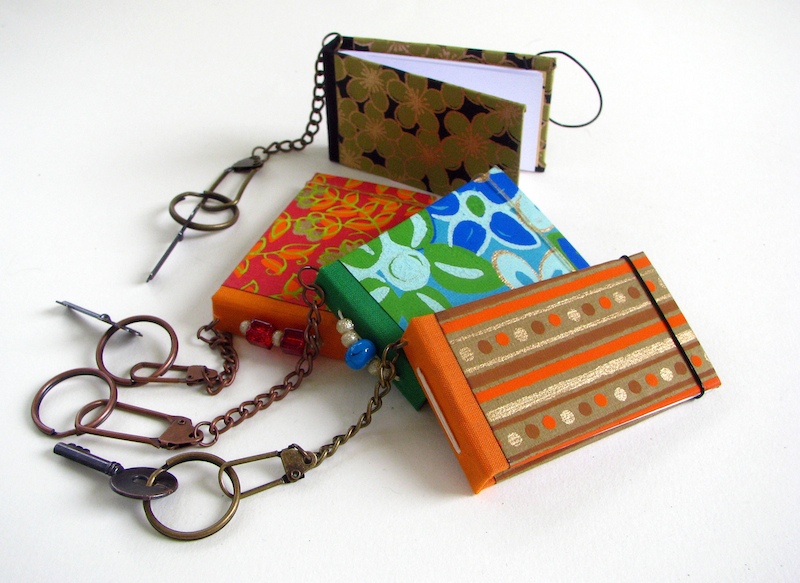 I’ve also been making mini-books that are keychains. As long as you have your keys, you can write a note, or a poem. They are so much fun to make. I will also be making new pocketbooks this week, in order to give festival-goers a wider choice of colors and fabrics for these fun purses made out of books. 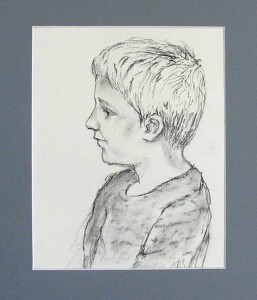 And don’t forget I will be drawing charcoal portraits at the festival. They will come with a mat and clear bag to protect your special someone’s likeness.